I decided to leave Brighton because I felt like I was suffocating under the pressure. Everything felt heavy, and the weight of the world was laying down hard on my shoulders. After living in Brighton for 3 years, I felt like I’d outgrown it and the desire to escape that life was niggling at me. This time last year, I was working just on Straight Talk BN1 - I didn’t have a real job. I’d quit my gig as a restaurant manager 6 months before to chase my dreams. I hadn’t really planned how I would make enough money to live, I just decided to wing it. I never wanted to work in restaurants, well who does, really? But, after 10 years in hospitality enough was enough. Life’s funny when you aren’t obliged to attend a workplace in exchange for a salary. It was great. I had so much time on my hands and was making lots of progress with BN1. It was summer, and I lived just a 30-second walk from the beach. Photo by Tears in Rain. But, then, I began to lose my sense of purpose. All my friends and my boyfriend would be working all the time, and there was no one checking if I was actually doing anything with my life or not. I got lazy, telling myself “I’ll do it tomorrow”. However, there’s only so much Netflix that you can watch. It wasn’t just my sense of purpose that said “see ya”, loneliness crept in and my mental health started to deteriorate. Looking back, it was my attitude to money that crippled me the most. England is so expensive. Rent: £825. Council Tax: £100. iPhone: £50. Every single month - and that was just half of my payments. 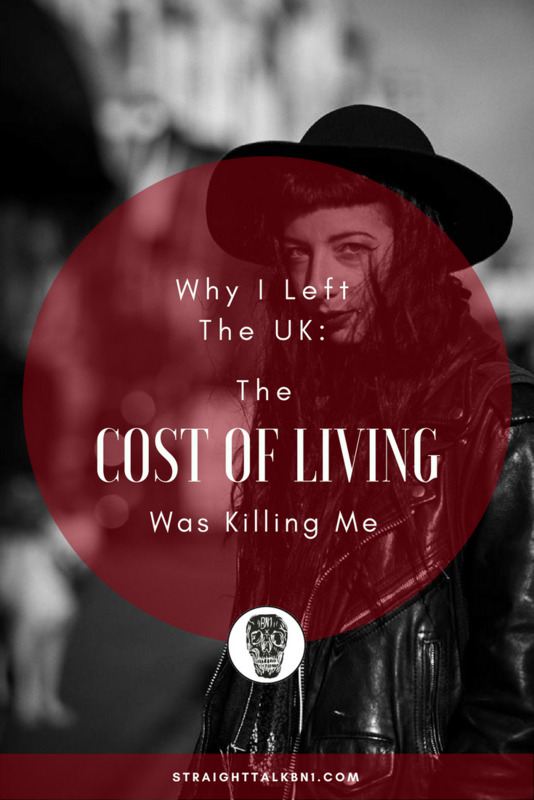 Yesterday I heard a song by The Skints called The Cost of Living is Killing Me, and it’s everything I was feeling at the time. I was full of anxiety and obsessed with not having enough money. I had to burst the bubble. That’s why I now live in Lithuania. I escaped with my wallet and my life intact. Here, my rent is just 230 euro per month - including utilities. With Brexit looming, I decided that there would be no time like the present. You might think Lithuania is a strange post-soviet country - but to me, it’s a breath of fresh air. I don't think anybody actually enjoys the infamous Black Friday (and Cyber Saturday or is it Shoot Yourself Sunday..?). After finding this beautiful technique online, I fell in love with it, and taught myself exactly how to carve and print. Caught in a Trap: Are You a Wage Slave?